Grocery products such as Nissui product, sausage and a lot more are now on sale at Fuji Super 2 in Sukhumvit 39. Please go check it out. Hot promotion from Honmono Sushi. 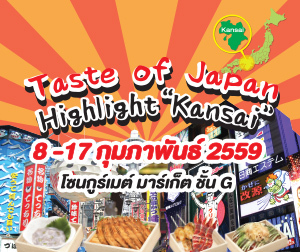 Offer special 50% discount of Kyushu premium Japanese food. Is anyone craving for street food in Tokyo? If it’s a YES. You don’t need to travel to Japan anymore! Just come visiting us at Market Hall , Siam paragon from 10 March 2016 – 28 March 2016. ” Hokkaido ” An island of tasty foods. 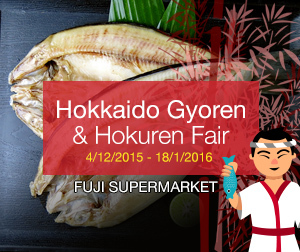 You will experience various kind of Hokkaido foods like you are really in Japan! 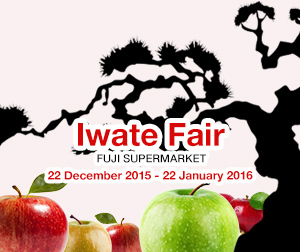 Looking for variety of tasty Japanese desserts and fresh fruits , Come visit us at Ibaraki JA zenno fair ! Good deals start from now!! 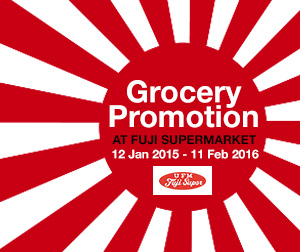 Let’s check out Grocery Promotion at Fuji supermarket. Daisho Thailand has selected high quality raw materials from Hokkaido Japan, and placed at Fujisupermarket for our valued customer till 18 Jan 2016!